The Blue Jays evened up their series with the Boston Red Sox, beating them 7-3 and getting a strong start from J.A. Happ and home runs from Jose Reyes and Dioner Navarro. Of course, the big news was the Aaron Sanchez was called up although he didn’t get into the game. The Aaron Sanchez-less Bisons beat the Lehigh Valley Iron Pigs and ex-Blue Jay Jo-Jo Reyes. Radhames Liz was tagged for all six runs in 4 1/3 innings but the bullpen came to the rescue with Ryan Tepera giving up just one hit (which allowed an inherited runner to score) over his 1 2/3 innings and he earned all five of his outs with strikeouts. Chad Jenkins provided two innings of perfect relief and Bobby Korecky was perfect in his inning to pick up his 13th save. 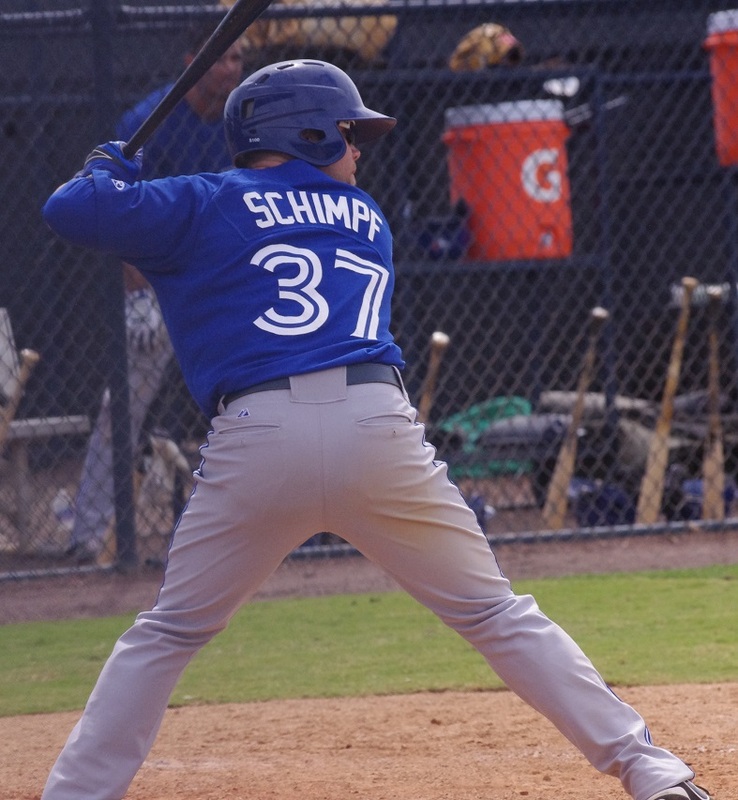 Brad Glenn stepped up with a huge game, going 4/5 and driving in a run but Ryan Schimpf had a bigger impact on the result, hitting a double and a home run, scoring twice and driving in three. Cory Aldridge (2/5, 2 RBI), Mike McDade (2/4) and Andy LaRoche (2/5, R) also had multi-hit games. Timely hitting late in the game that went along with an outstanding pitching performance by Scott Copeland made for a shutout by the Fisher Cats. 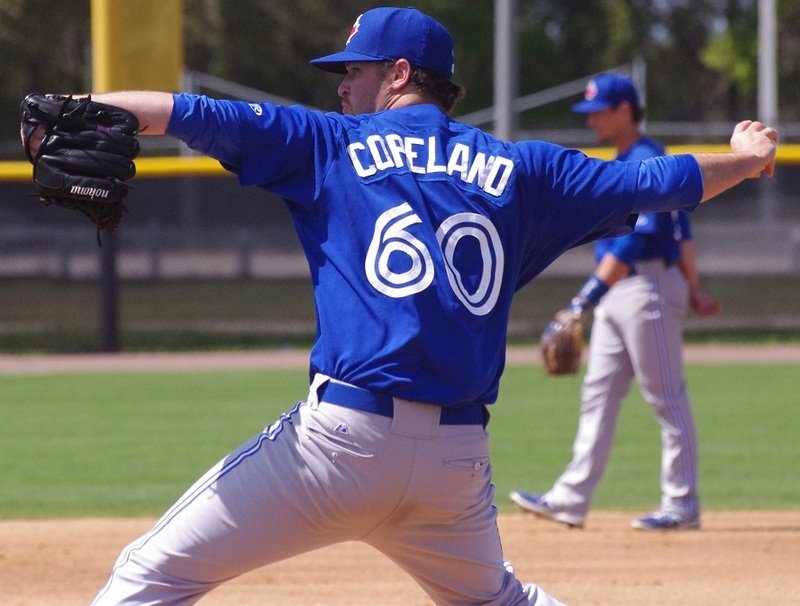 Copeland picked up his sixth win with an eight-inning, three-hit, one walk outing. Sean Ochinko, in his first game of the year, drove in two runs with a double and Kevin Nolan continues to be red hot, going 2/4 with a stolen base and driving in the third run. Andy Burns is now hitting over .250 (.251 to be exact) with a 2/4 game and Dalton Pompey was 2/4 with a double and a stolen base and seems to be really settling in for the Fisher Cats. 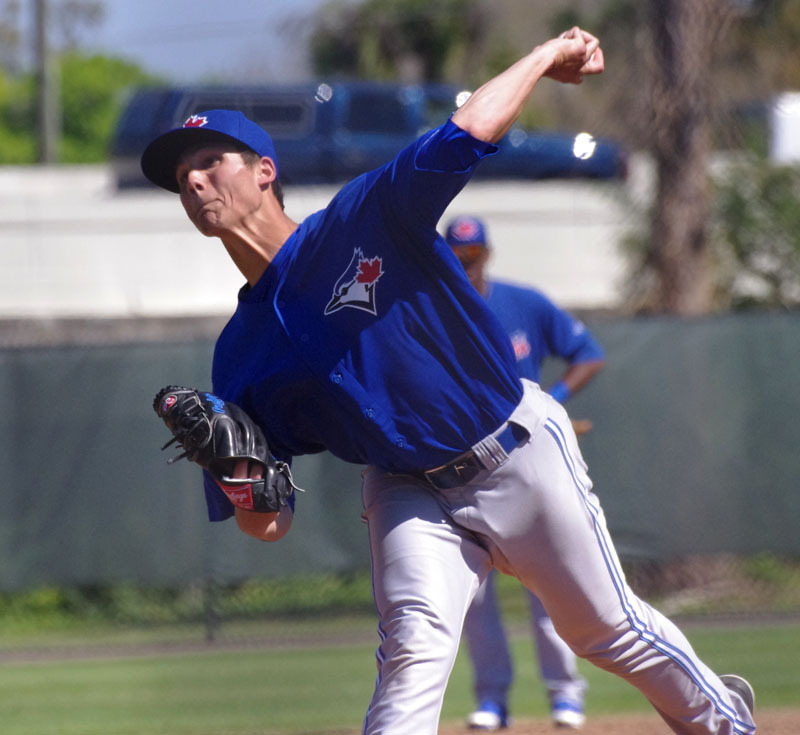 The Blue Jays lost in a pitching duel to the Bradenton Marauders and one of the Pirates’ top prospects in Tyler Glasnow. Kendall Graveman did his best to keep up, allowing just one run on eight hits and two walks over 6 2/3 innings. Chad Girodo and Ben White also got into the game. The Blue Jays only had six hits and Ian Parmley‘s double was the only extra-base hit of the night. It went down to the wire on Monday night but the Vancouver Canadians just missed (by virtue of the tiebreakers) clinching a playoff spot. They got their second half off on the wrong foot by losing 13-3 to Hillsboro. Lefty Zak Wasilewski allowed six runs over five innings and Kamakani Usui allowed another four (two were earned) with Mark Biggs allowing three. Only Jose Fernandez, who pitched the ninth, got through the game without allowing any runs. Despite nine hits, the offense could only muster three runs. 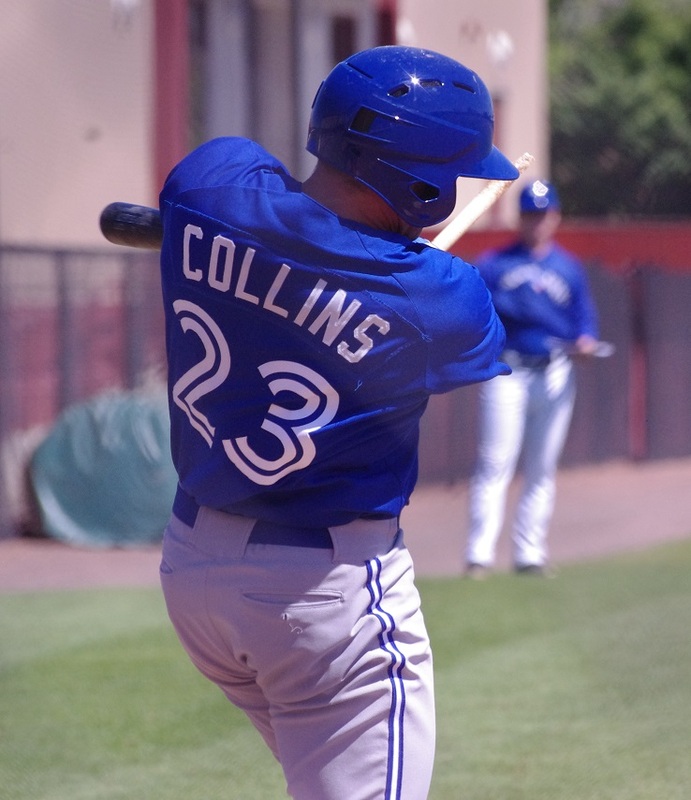 Ryan McBroom had two hits, as did Boomer Collins who was 2/4 with a double and drove in all three of the club’s runs. 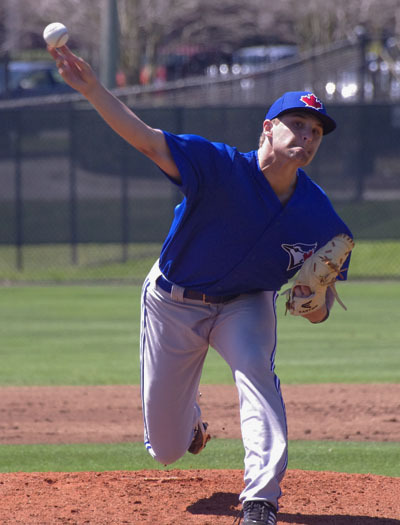 Evan Smith was outstanding in the game for the Blue Jays, scattering six hits and two walks over six scoreless innings and racking up five strikeouts. Carlos Ramirez allowed two unearned runs and Chase Wellbrock threw the final two innings without allowing a runner and striking out three. Josh Almonte continues to be one of the hottest hitters on the club (flying under the radar) and went 3/4 with a triple and three RBI. Gabriel Cenas was 2/3 with a walk and two runs scored while Rowdy Tellez was 1/4 with a walk and Richard Urena was 1/4 with a walk, a double and two runs scored. Jake Brentz made his first appearance in 11 days and was very strong for the Blue Jays, throwing four scoreless innings and giving up just four hits and one walk with four strikeouts. It marks the first time this season that he has walked fewer than two batters in an outing. Daniel Rodriguez came into the game and allowed four runs over his four innings leaving him with an 8.05 ERA over the course of the season. The batters managed to get eight hits including two each from Freddy Rodriguez, Angel Gomez and Dave Pepe. Rodriguez hit a triple and scored twice while Pepe hit a double and drove in a pair. Jose Nova had a rare, poor start, allowing three runs over his three innings. The batters only had five hits but three were extra-base hits with a triple from Edward Olivares (who also walked twice) and a double each from Miguel Almonte and Enmanuel Moreta. The Bisons come home to host Syracuse for a 7:05 PM game on MiLB TV. The Fisher Cats have an afternoon game at 12:05 PM on MiLB TV scheduled with Matt Boyd throwing against Zach Nuding. It’s an early wake up call for the Jays as they’re in Bradenton for a 10:30 AM game against the Marauders. Jesse Hernandez gets the call for Dunedin. Brent “Don’t Call Me Kenny” Powers takes the ball as the Lansing Lugnuts go on the road to face the Peoria Chiefs, the Midwest League affiliate of the St. Louis Cardinals, at 7:30 PM. Vancouver hosts Hillsboro at 10:05 PM ET and Starlyn Suriel is likely to be on the mound. The Blue Jays are at home to face the Elizabethton Twins at 7:00 PM with Ryan Borucki scheduled to be on the mound.